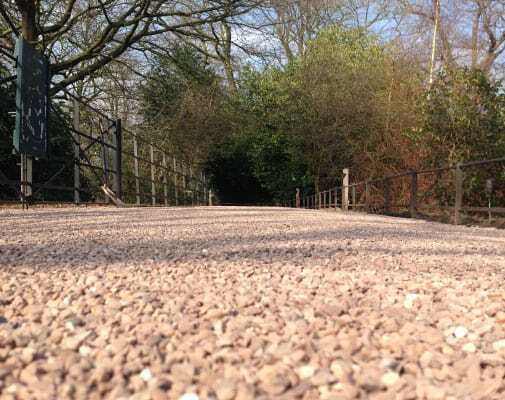 Resin Bonded Gravel is a hard wearing decorative surface with a textured finish. Bonded Gravel is not porous, meaning water doesn’t drain through and the rough texture gives the surface a natural effect. 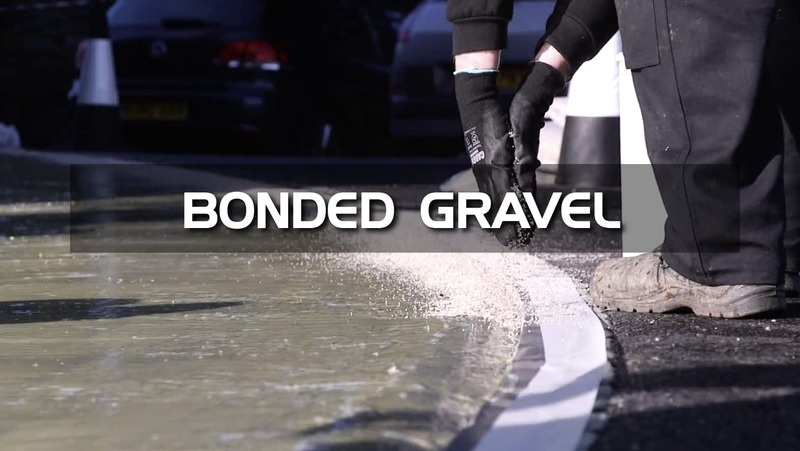 Bonded gravel is applied by scattering stone gravel onto a resin base. 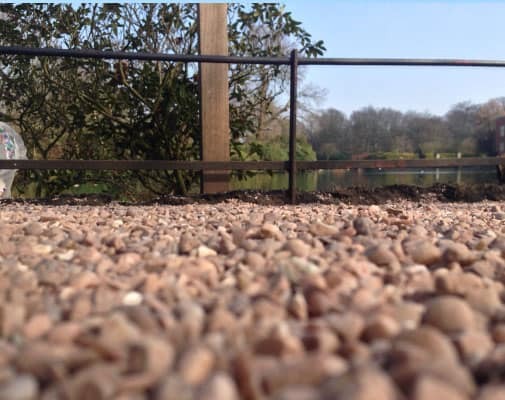 The gravel aggregate is available in a range of colours which can be used to match existing exterior features. The area is then dried with a gas lance and cleared of leaves and debris. Perimeter edges are masked with tape. The entire surface is primed with binder, and gravel is broadcast across the area. Q. Resin bound and resin bonded – What is the difference? Bound: Aggregate is mixed with resin in a mixer and then hand-trowelled into place to produce a surface that is smooth and porous. Porous resin bound surfaces perform better than non-porous resin bonded ones, allowing drainage of surface water and better environmental compliance. Q. 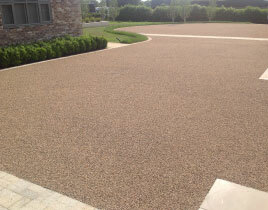 Can resin bonded surfacing be laid on my existing surface? A. For your base to have the same lifespan as the new resin bonded surfacing, a new base is preferable. Q. 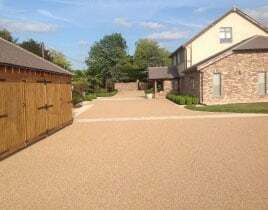 Is resin bonded surfacing ideal for my driveway? A. Bound gravel is more suited for driveways as the gravel will remain in place when vehicles drive over it.